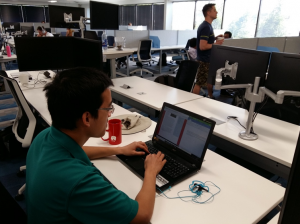 Ngoc Dang ’19 Archon Tech Strategies – This summer I’m working as a Developer Intern at Archon, an Indianapolis based start-up and founded by Tony Unfried ’03. I have had the chance to experience technologies that I would not have encountered anywhere else and have had fun learning as well as utilizing them. I was first impressed by the working space. Archon’s office is hosted by Platform 24, a coworking space that is first of its kinds here in Carmel and very first one that I have ever seen or worked in. It was surprising to learn that many other companies work under the same roof, on the same floor and on a first come first serve basis. 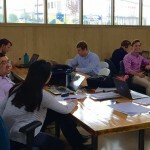 This not only allows us to enjoy the perks of a large, multipurpose work space that may not be available to small companies, but also gives a very bright and lively impression of what other companies do. I’m even more impressed that Tony cofounded this coworking space and embraced this model. As a Developer Intern, I’ve got a taste of what working in the IT field is like. Working in a startup requires that you be even more very responsive to changes and willing to be adaptive to succeed. We have been experimenting with new technologies despite still being in the development stage, which provides us with lots of potential. One of them is integrating Amazon Alexa to a mobile app Archon already developed. Imagine you can interact with an app via voice besides the traditional method of touch. Another is using mobile technology to raise a gate arm or community gate without having to physically use a card or keypad. I have been able to enjoy perks as well. On the second day of work I had the chance to go the Indianapolis Motor Speedway and attend an IAWM networking event. Yesterday from the time of writing this blog, we went to a professional conference to learn about the Internet of Things. This internship has provided me experiences that will help me for years to come. I thank Tony Unfried ’03, and the Career Services Staff for providing me this opportunity. 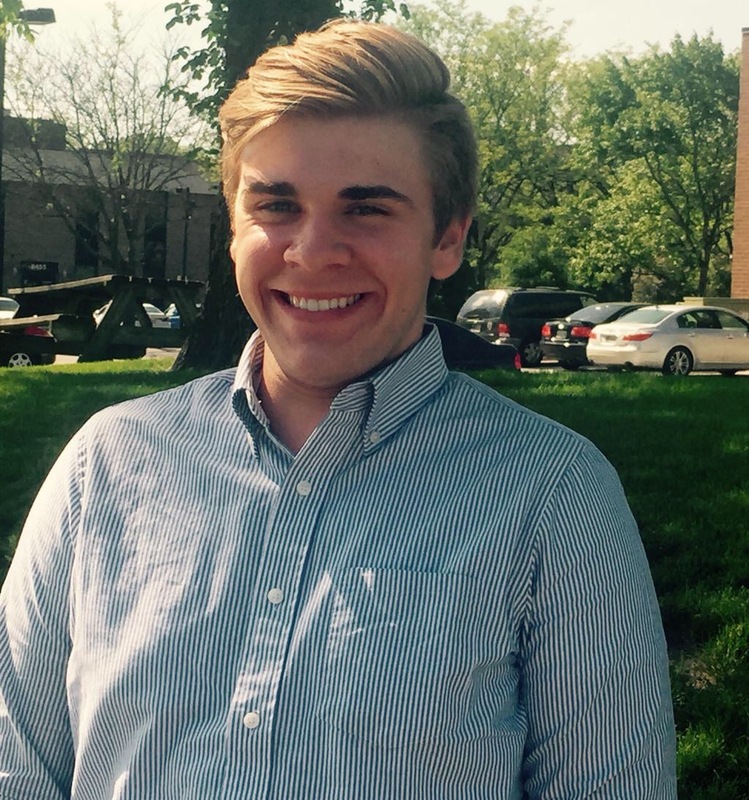 Ben Stachowski ’19 LABB Intern – When I first heard about the LABB Program I felt that it was not for me. I am studying History and Biology and felt that business did not apply to me. After talking to a handful of people about the program, they told me that I should give it a shot. I was told that even though I was not studying business, this internship would give me a look into different aspects of business and would be helpful in my future career. My peers could not have been more right. After only the third week of the LABB program, I already believe that my finance, marketing, and presentation skills have improved immensely. Week 3 was mainly focused on marketing. On Monday, Mike Simmons from Eli Lilly and Co. came in and shared knowledge he had with us about marketing. He taught us about SWOT (strengths, weaknesses, opportunities, and threats) and how this analysis helps companies and how they use it to brand themselves and find their competitive advantage. We also learned about the 4 P’s of marketing or marketing mix, which are product, place, price, and promotion. All of these are essential to creating an intellectual marketing strategy. We also did an exercise with Mr. Simmons that discussed the different markets and customers that Starbucks, Dunkin Donuts, McDonalds, and Speedway target. We closed the day by speaking about the different ways we can distinguish ourselves from others. He told us that if you are looking for a job in marketing that problem solving, data analysis and curiosity are the keys to being successful. The rest of the week, Mr. Morin talked with us about the “down and dirty” of marketing. One of the biggest points of the week was that there are two types of marketing: strategical and tactical. Many people know about tactical marketing, which is applying the marketing mix with advertisements, sponsorships, social media, etc. Strategic marketing is just as important. It helps with long-term decisions and involves determining prices and forecasts to plan research. We also looked at a handful of business cases throughout the week. One that stood out was the case about Walt Disney. We talked about their marketing and how the Mickey Mouse logo is universal and will never get old. This is one of the reasons the Disney brand is so recognizable and popular. Overall, week 3 has been a great learning experience. I would like to thank Mike Simmons for coming in and discussing his marketing experiences and knowledge with us. I would also like to thank the Lilly Endowment and Roland Morin for giving me this great opportunity. I am excited for the next 4 weeks of learning and very confident that this program will help me in my future endeavors. 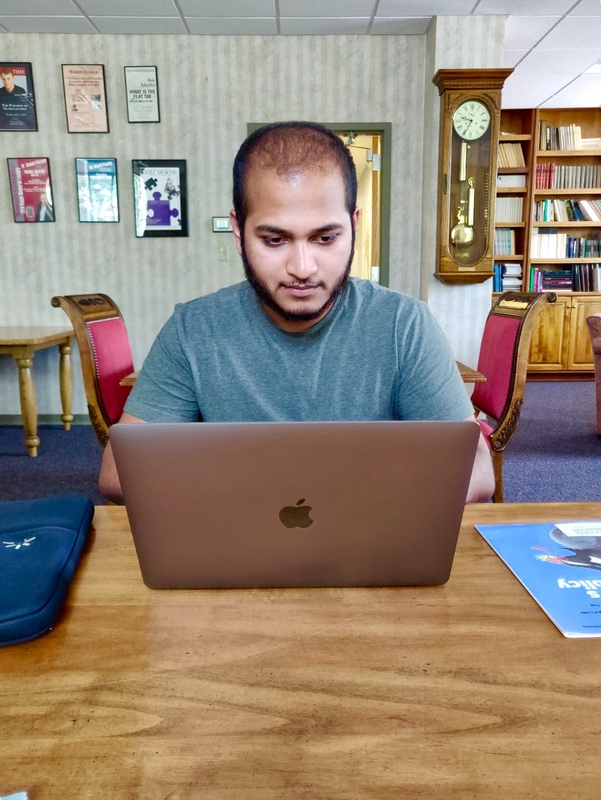 The eight weeks spent as an intern at the Indiana University, and Research and Technology Corporation has been essential to my education as a student and my general knowledge of business development. Over the course of the internship, I was able to work as a part of the team that makes up a section of the IURTC known as Spin Up. 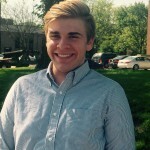 Working directly with the head of Spin Up, Joe Trebly, we worked to build startup companies around inventions developed at Indiana University. Over the course of the experience, I learned about the commercialization process, venture capital, marketing, and intellectual property. My primary project was to write a business plan for Grace Corporation, one of Spin Up’s startup companies. Grace Co. is a geriatric health care provider that aims to reduce hospital readmissions through their Grace Co. team model. Since their conception, Grace Co. has enjoyed great success and is being to be implement not only at IU Health but multiple hospitals in both Indiana and nationwide. One of the barriers that I had to overcome while writing the business plan for Grace, and in general the entire summer, was adapting to the different industries that Spin Up works with and being comfortable not having a significant background in that field. It was in this barrier when I began to appreciate truly my Liberal Arts education at Wabash. Another project that I worked on was getting everything for the Innovation Showcase. A showcase is an entrepreneurial event in Indianapolis where roughly 75 companies pitch to prospective investors. Spin Up sent five companies to the event. One of which, Anagin, a company that is working towards growing inner ear cells placed in the top 5 companies. My job was to update all of their propaganda, specifically their executive summaries. The project gave some experience in both marketing and project management. Aside from the two project I spent a great deal of time meeting with venture capital groups and CEOs of Spin Up companies. Watching Joe and the founders of the companies working with big VCs like SV Life Sciences provided me with hands-on experience that I would not have gained in the classroom. We are truly fortunate for the opportunities that both Wabash and the Lilly Endowment provide to Indiana. Summer was especially busy at FairWinds Advisors, and as the first intern from Wabash, I felt the need to make a big impact. FairWinds is a company that can provide companies with site selection services, incentive negotiation, and the required compliance. They take a very personalized approach with each client, which sets them apart. 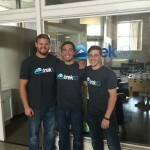 When I started my internship, Economic Development was a relatively new concept to me. I understood what I thought it meant and what I thought I might be doing, but I quickly received a crash course on exactly what FairWinds can provide a client from Jenny Massey, the co-owner, COO and President. One of the first things I learned was that the life of a consultant can be difficult at times. When acting as the middleman, you are the one who is held accountable for problems that arise, regardless if they are your fault or not. This means that being ahead of the ball is extremely important so that everyone is happy. Because FairWinds has had such a busy year, I was able to help put a fresh spin on some documents that were used to keep the steps in the process in order. Jenny took me with her to all of her meetings so that I could see how a project works at every stage. This meant that I was included in meetings with potential clients and meetings with current clients that were near the end of their project. It was eye opening to see not only the different types of meetings but the huge range of companies that FairWinds can assist. Some companies is start-ups with no employees while others are huge companies that are expanding with a new location or in a new state. Each company comes with completely different needs and problems. For those reasons, it was very important to be well prepared with knowledge about all possible incentives. I was able to learn a lot from listening to these meetings, often learning along with the clients. I was also involved in helping with a few projects that Jenny and her partner, Jay, are undertaking to better the company. One of those is a new website. I had the opportunity to sit in on a creative session and have been able to help with some creative ideas for the new site that is being built. It has been a fun challenge to help create a product that is engaging and informative without being overwhelming, especially considering I had no experience with web design. Overall, my experience at FairWinds has been extremely educational and valuable. I was able to learn about real world business by working with the large variety of clients. Being a part of the FairWinds’ team provided an in-depth understanding of some of the advantages and challenges that small businesses face. I would like to thank the Lilly Endowment for making this internship possible, FairWinds Advisors for the opportunity and Wabash College for organizing the experience. 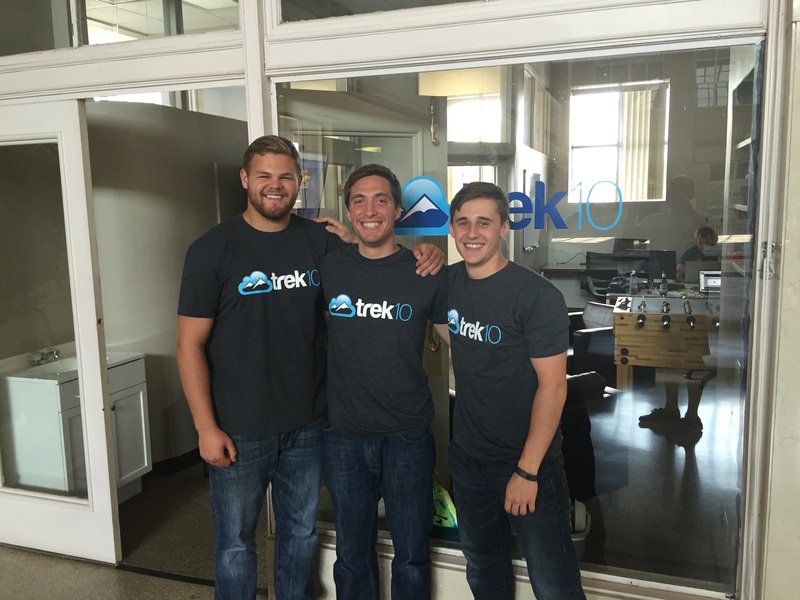 Throughout the course of this summer I’ve had the opportunity to intern with Trek10, a startup whose main facet involves consulting with companies who use Amazon Web Services (AWS); a cloud computing service that allows for massive data storage, real-time data analytics, app and website building, and a multitude of other features. When I first accepted this position, I was hesitant about two things. The first being that I had no experience with AWS, let alone any other cloud computing software. The pre-job training was intense, and a lot of new terminology and concepts were thrown my way. 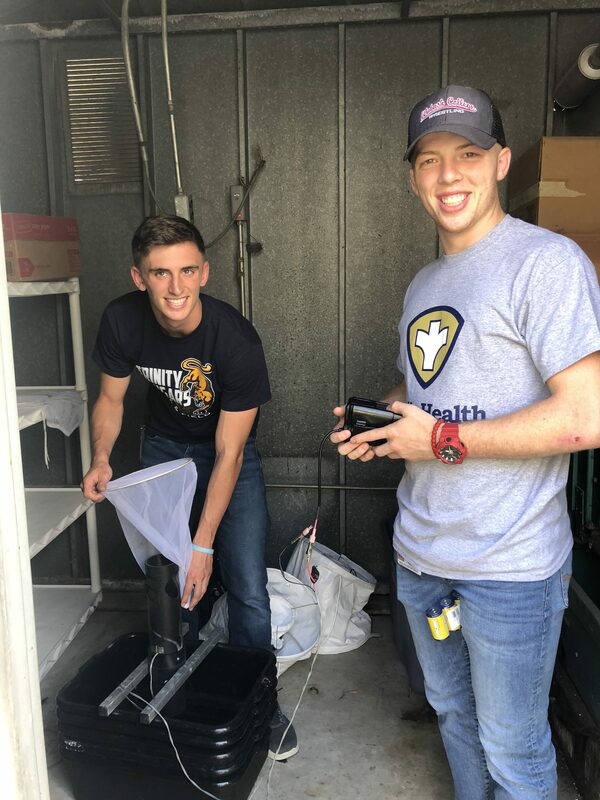 However, I was lucky enough to be working with some of the best and brightest in the field, as well as two of my good friends and fraternity brothers, Sam and Ashton, who were eager to make sure I knew what I was doing. The second point of hesitation was that in 2011 South Bend was cited by Newsweek as one of the top 10 dying cities in the U.S. Why would I want to spend my summer somewhere like that? Well, this source of uncertainty is actually what enthralled me in my decision to take the position. I spoke with Roland Morin ’91 as he explained the revitalization efforts that companies like Trek10, Union Station, and Enfocus, just to name a few, were attempting to help South Bend. During my first week, I noticed many things that might indicate a “dying” city; poor roads, abandoned buildings (one of which being the old Studebaker factory, whose economic aftermath after closing some 40 years ago is still felt to this day), and a homeless population. However, I also experienced first-hand these immense revitalization efforts which simply hearing about does no justice. Union Station, a former train station turned data hub and professional office building where Trek10 is located, has plans in the immediate future to renovate 800,000 square feet of the abandoned Studebaker factory in order to move its business there. Included in the new Union Station are classrooms, a workout facility, an auditorium, and a ton of new space for more tech-heavy companies, like Trek10, to call home. The hope behind moving to a larger facility is to attract ultimately, businesses with well-educated employees and higher paying jobs to kick-start the economy. Also, South Bend initiated something that I had not experienced during past internships in different cities/counties; an intern “connect” program. With upwards of 80 interns in the South Bend/St. Joseph County area (of which about 10 were Wabash men), the County hosted and helped organize numerous events for us. We went to a Cubs game, a country concert, white water rafting, helped at a local food bank, and participated in networking events as part of the Young Professionals Network. Additionally, the program brought in a weekly speaker which included Trek10’s CEO and founder, Andy Warzon, as well as the well-received Mayor of South Bend, Pete Buttigieg. This may have been one of my favorite events the program put on, as we heard talks and engaged in discussions about personal branding, methods for assessing businesses, how to go about bootstrapping your own business, and the countless initiatives, efforts, and programs that the city is tackling in order to bring life back to South Bend. Having such a well-rounded program that kept me engaged outside of work hours helped me truly see South Bend for what it is. I no longer see it as a dying city, as that implies South Bend is headed in a direction worse than its current state. Rather, I view South Bend as a growing city, easily observed through its efforts and successes in bringing and retaining talent from schools such as Notre Dame, Yale, and of course, Wabash. Additionally, there’s an atmosphere of optimism as its citizens all rally around and support their Mayor, placing their trust in a local government who’s already proven its capability in helping South Bend. I’ve never experienced such a high overall level of confidence from a community. Just about every person I talked to felt hopeful for the future of South Bend, given its recently bleak past. And to me, having the entire community believe in the future of the city is the most crucial aspect of growth. In closing, I’d like to thank the Eli Lilly Endowment for funding opportunities as beneficial as the one I experienced this summer. 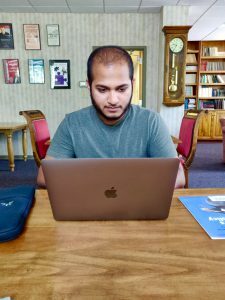 Not only did I gain knowledge of cloud computing software and an insight into the hi-tech world unavailable in the classroom, but I was also able to be part of something bigger than myself. It felt incredible to know that by taking part in these intern connect events I was making a difference in South Bend. Though I’m not from the area, I plan on returning and continuously checking up on its progress as I feel like the part of the community after my eight weeks there. 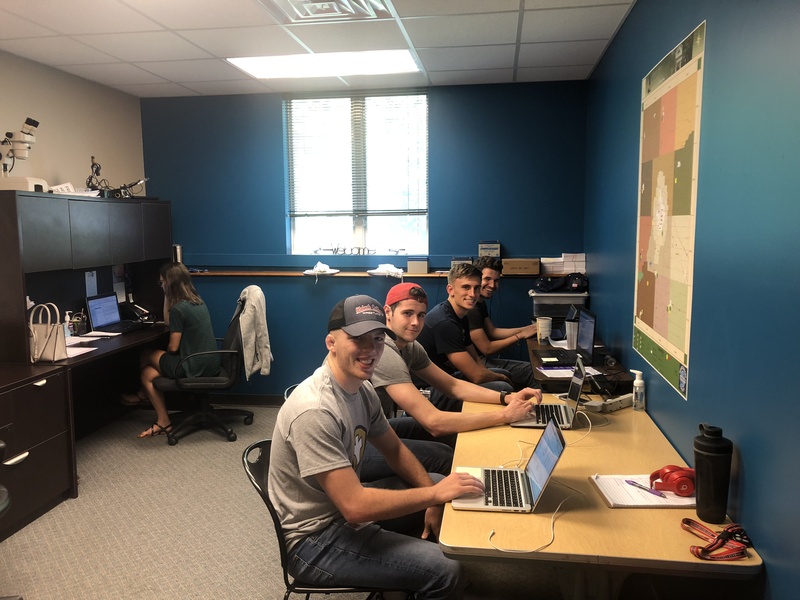 If the goal of the Endowment is to invest in Indiana, it’s doing a fantastic job by sending interns to places like South Bend and other Indiana communities where Wabash men can make a difference. Before we get started, I want to thank the Lilly Endowment, Inc. for providing funding my internship experience this summer and for many other Wabash men. Without that funding, such an opportunity would be lost for many of us. Talking to students from other colleges I have realized how lucky we are to have an organization like that on our side. My experience at Union Station Technology Center (USTC) in South Bend this summer was nothing short of unique. USTC is the largest data center in Indiana and a top 40 carrier hotel in the nation, and the primary model of Infrastructure as a Service allows the company to provide storage and high-speed connectivity for businesses ranging in size from small and local to large and national. 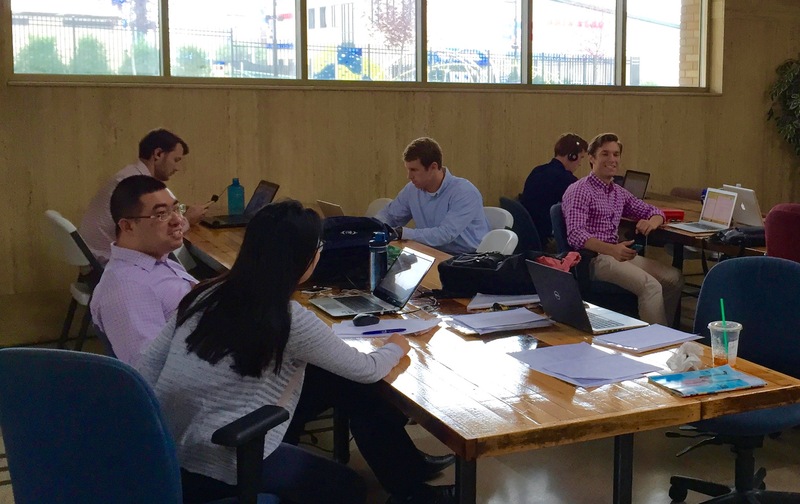 The goal this summer for myself and my coworker, Kevin Yan ’15, and was to design a co-working studio – the Depot – within the Union Station building, and then market and recruit people to work inside of it. The Depot is to be a hub of collaboration and mutual development among freelancers, independent consultants, and entrepreneurs. I learned a few lessons from this internship. The first and foremost lesson is the importance of having a plan and set goals. A couple times we started on a task and then lost our way. When that happened, we had to restart and tweak our approach, but it was something that could have been avoided by having several smaller benchmark goals. Another lesson that was emphasized this summer is to manage your network and utilize the connections you have. It has also stressed to me the importance of being a reliable contact myself, because how can you expect others to help you if you are not willing to help them. In all, it was a very educational internship that taught me much about entrepreneurship and will help guide my endeavors after college. Once again, thank you to Wabash and the Lilly Endowment for making this possible.